TrueBench is an unique open-source benchmarking system in which the core system performance and efficiency parameters are measured at extreme high resolution in the order of several million/billion µ-seconds for a given specific task. TrueBench is a part of The TOFFEE Project research. 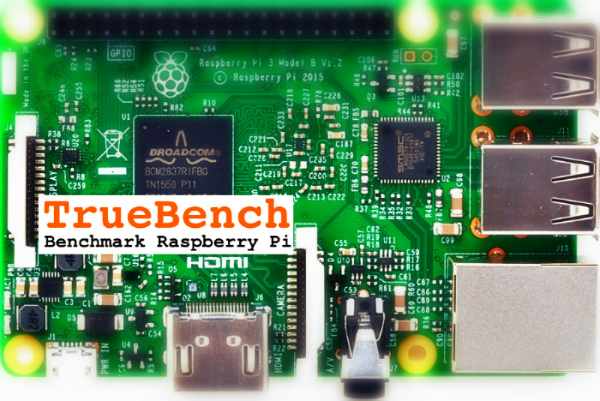 With TrueBench Raspberry Pi 3, Raspberry Pi 2B and Raspberry Pi 2 are benchmarked and you can do a comparative analysis with standard mainstream x86 devices.